It is amazing how childhood memories shape one’s actions in later life. When we planned the garden at Towerwater, happy times with our parents and what they enjoyed, were a constant in deciding what to plant. Keith’s dad loved guavas and so we planted pink and white guavas. My mom loved pomelos (grapefruit) and so we decided to plant a pomelo in the citrus row. The pomelo we planted turned out to be a Seville orange. I could not take the tree back to the nursery at that point and so we decided to keep it. My mom enjoyed the Seville oranges nonetheless and was the sole beneficiary of the fruit for a couple of seasons. The early days at Towerwater were intensive building and restoring times. There was no time for preserving fruit etc. After the bulk of the restoration work had been completed, we could shift our attention to the garden produce. That was when the Seville came into its own as a prolific supplier of oranges for the best marmalade. 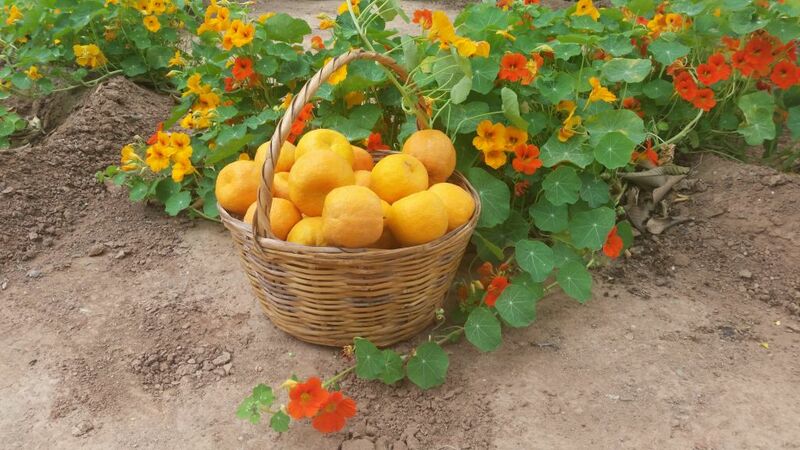 The Seville is rich in oils and high in pectin. 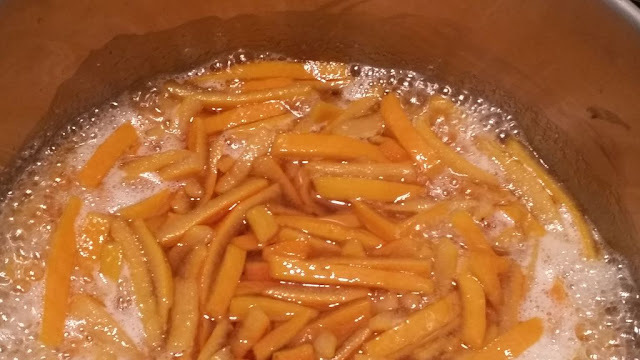 The process of making marmalade is a feast for the senses. From the cutting of the peels, with a burst of fragrant oil over one’s hand, to the aroma of the hot cooking peel drafting up the chimney. 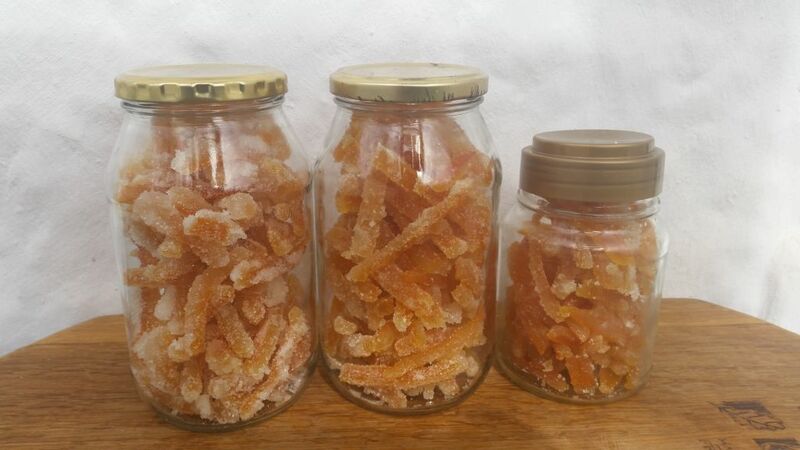 We are now blessed with a constant supply of different flavoured organic marmalades like ginger, rooibos, Van der Hum, whisky and many more. The prolific supply of Seville oranges required additional recipes. We started by making Seville orange cordials. The cordials are so refreshing and it is as close to drinking marmalade as one can get. 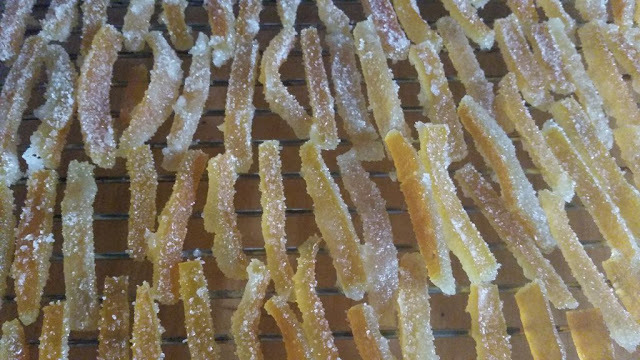 I love candied citrus peel. Especially when they have been dipped in a dark chocolate. 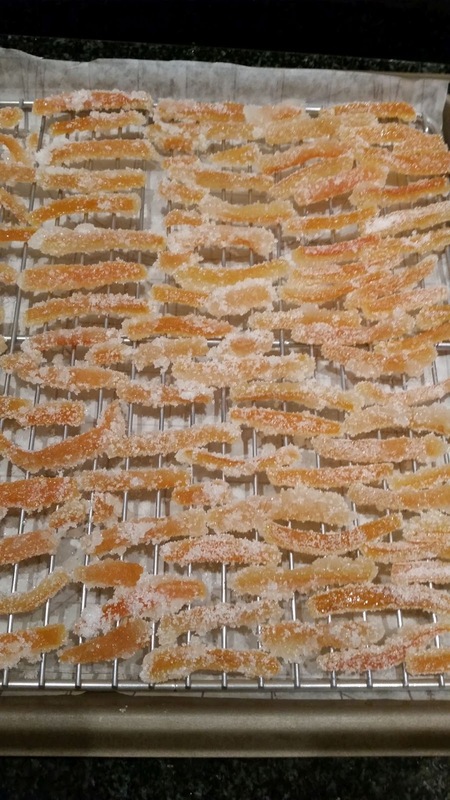 After I found a recipe for candied Seville orange peel, I decided to make some myself. I discovered that candied fruit dates back to the 14th century. I found a recipe from the Le Ménagier de Paris, a French medieval household guidebook dating from 1393 which describes a woman's proper behaviour in marriage and the running of a household. It has been translated into English by Janet Hinson. I have to admit I did not follow this recipe but a quicker and easier one from The Guardian by Bee Wilson. 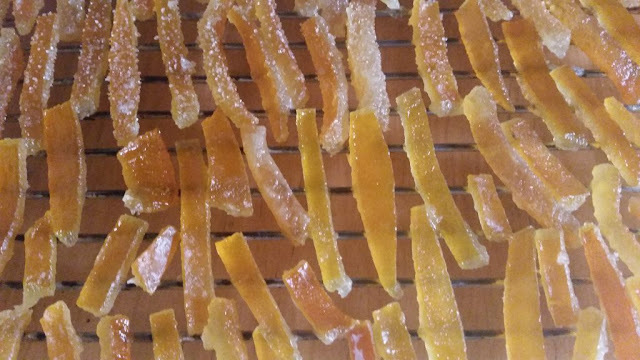 With their thick pith and high pectin content, Sevilles make far better candied peel than sweet oranges. Next year, I will try the dusting of ginger on the peels because that appeals to me (no pun intended). 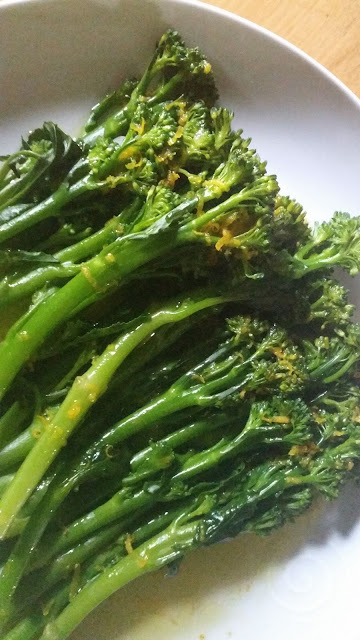 In the same article in The Guardian, Bee Wilson gives a recipe for Seville vinaigrette that I had to try for lunch over tender stem broccoli. Verdict, it is delicious. 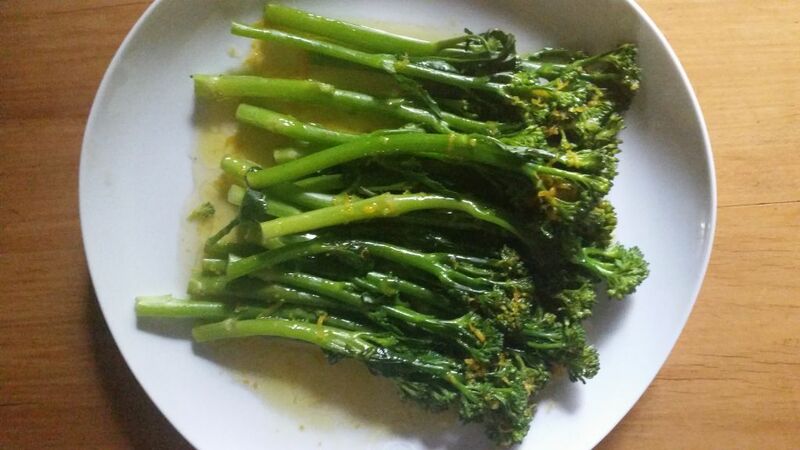 Good with steamed broccoli, with fish, with almost anything. More subtle than a lemon dressing. 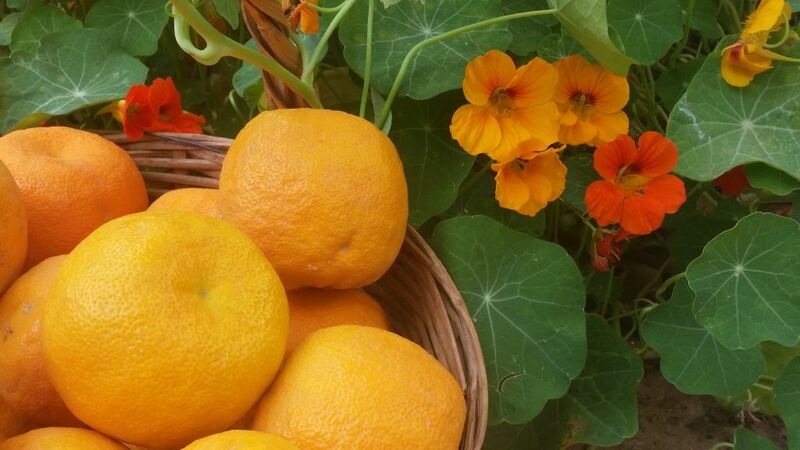 I am happy that I have found more delicious ways to use our fragrant organic Seville oranges. My quest for next year will be to explore the savoury uses of the Seville oranges. So interesting! A quest for, and achievement of, the "five quarters". Well done! All sounds delicious and lovely pictures as always! Soooo lekker om altyd jou blog te lees - dankie Thys. Jy moet asb.begin met 'n kookboek van al die organiese lekkernye wat julle maak. Ek staan eerste in die ry!!! Thanks John good to hear from you.